Below are the requirements according to the American Association of Nurse Anesthetist, in addition to some helpful tips of my own. Gain employment in a VERY Critical care unit (CSICU, CICU, ETC…) in a large Level 1 teaching hospital. 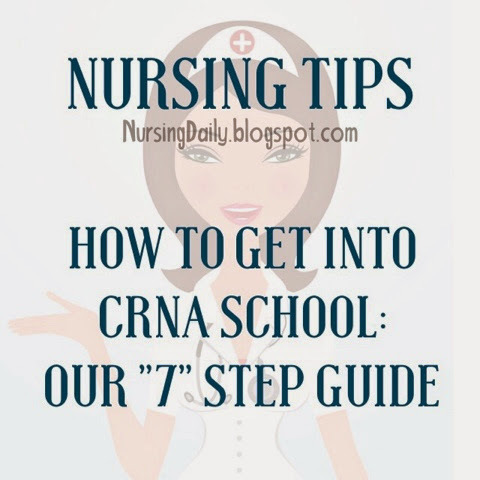 These 7 items are considered the “GOLDEN STANDARD” for getting into Certified Registered Nurse Anesthetist (CRNA) school. However; there are always exceptions to the rule. The MOST important thing is to know the requirements of the school you are applying for. Many CRNA programs no longer accept ER, Trauma, or PICU experience. Pay attention to the school requirements and try to tailor yourself as closely as possible to their requirements. Some schools focus heavily on the GRE while others focus on GPA and experience. Do your research and stay ahead of the game. Remember some CRNAs applied five times before they were accepted. It is tough but do not give up. The Doctorate of Nursing Practice (DNP) standard of practice takes into effect in 2020 for CRNAs. This deadline will give you plenty of time to get into a CRNA masters program before the doctorate degree level of entry becomes mandatory. Good luck! The reflective journaling for nursing students is doing a great job. Reflective journals for students of nursing improve their skills in observation and recollection as well as improving the ability to record thoughts and experiences in writing. Good job. Thank you, it's very inspiring and helpful. Thank you for sharing these tips. It's really helpful. This is very inspiring. Thank you. Thanks heavens! I came across this post. I am preparing for this exam and my exam is around the corner. I was looking for some good tips and extra study material for it. I am happy internet has made life so very easy, my friend also prepared for the LSAT online only. You have explained very well to all student who want to join nursing institute. I like your post and will suggest to my friend also.